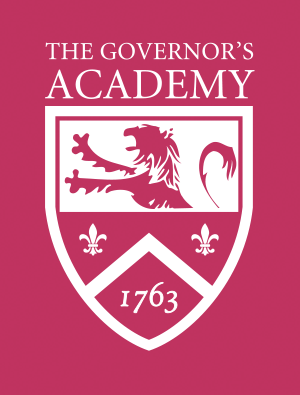 Thank you for your interest in applying to The Governor's Academy! If you have any questions about the application process, please feel free to call us at 978.499.3120 or email the Office of Admission. Applying to The Governor's Academy is an easy process. If you haven't done so already, please request a viewbook. The easiest way to complete your application is to do so online. To start a new application, click here for online registration. Follow the instructions for completing the inquiry form and the student questionnaire. This process will also create your user account for the Admission Portal. If you have already started an application, please visit the Admission Portal Login page. The Governor’s Academy will accept the SSAT, TABS, Gateway to Prep Schools, and A Better Chance Common Application Forms. We request that a student who uses SSAT, TABS, or ABC consider a response to one of the essay prompts from The Governor’s Academy application in addition to the essay submitted through the chosen common application. .
A student’s application will be considered complete even if the only essay submitted is a response to a common application essay prompt. There are certain requirements that need to be fulfilled in order to be considered for admission. The day student application deadline is January 15, and the deadline for boarding applicants is January 31. Candidates who apply after the deadlines will be considered if spaces are available. Please call us to schedule an appointment to visit The Governor's Academy for a tour with one of our students and an interview with an admission office representative. Appointments may be scheduled Monday through Friday during the academic day. If distance precludes a visit to campus, we can conduct your interview via Skype or over the telephone. Please contact our office to make arrangements. For international students who wish to schedule an interview, click here. Register for the October, November, December and/or January Secondary School Admission Test (SSAT). Information may be obtained on their website, www.ssat.org. Our SSAT score reporting code is 3466. We also accept the Independent School Entrance Examination (ISEE) offered by the Educational Records Bureau in New York, www.iseetest.org. Non-native English speakers must submit the results of the Test of English as a Foreign Language (TOEFL). Information may be obtained at www.ets.org. Our TOEFL score reporting code is 8419.